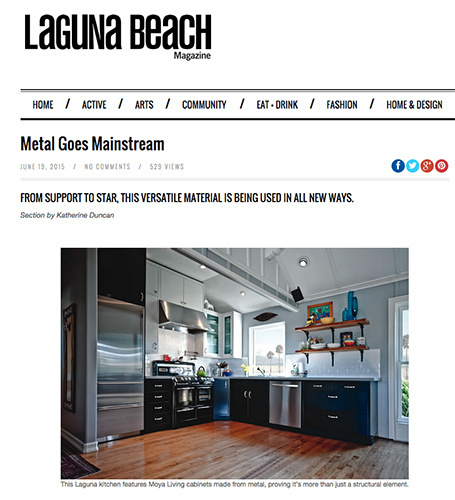 "Conversely, Moya Living steel cabinetry and furniture is welded and does not use formaldehyde-laden glues, enabling clean indoor air quality." 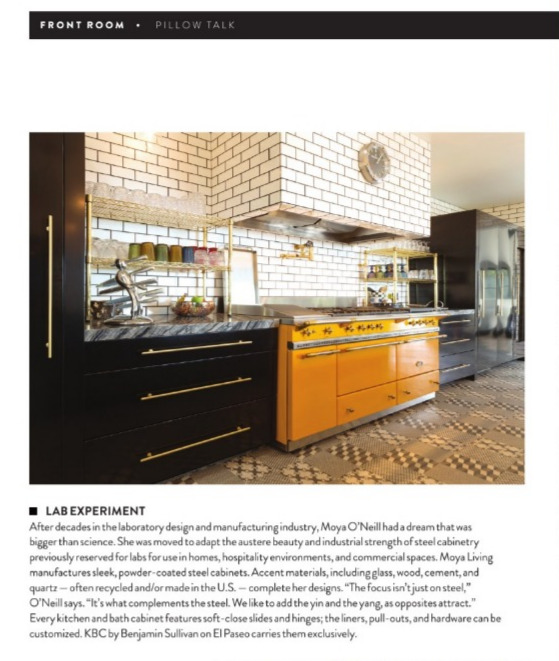 "Moya Living is changing the story on steel’s relevance for home and hospitality use by creating beautiful, make-to-order pieces for kitchen and bath that unite function with expert craftsmanship and innovative designs to suit aesthetics ranging from relaxed to refined." Moya Living was featured as one of 16 Kitchen Cabinet Options to improve on design and functionality. Showcasing Moya Living's talent in Glass Front Cabinetry. "What we find so special about this english manor style home is the interiors. The owner put quite a lot of thought and effort behind the design and the outcome is beautiful. It’s an ecclectic mix of color, texture and finishes. The creativy spreads across virtually every space in every room." "Dramatic Modernist details, warm materials and cool finishes transform a Colorado mountain home from rustic to retro chic." "Made in the U.S.A., "The Loft Collection" by Moya Living Introduces Modern, Modular, and Modifiable Cabinetry and Furniture That Are Sustainable, Durable and Non-Toxic"